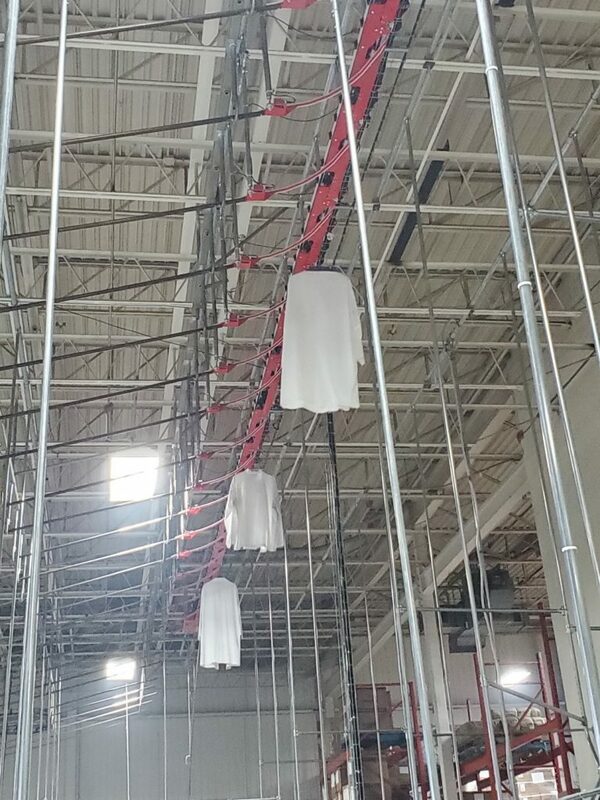 Planiform would like to congratulate Alsco for deciding to improve their uniform sorting efficiency and overall throughput by investing in our latest generation of Automatic Garment Sorters. 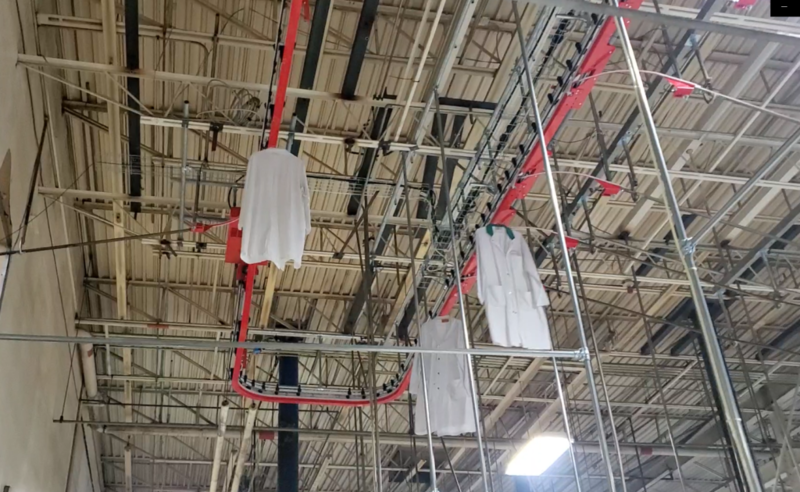 Following the installation of Planiform’s automatic sorter in March 2018, Alsco decided to move forward with the pre-sort after seeing the increase in laundry being processed per day. The pre-sort is located between the finishing tunnels and the sorter. It actually sorts by route. This project consists of replacing their outdated graduated hook pre-sorter for a more modern, effective and mechanically simple system. Using UHF RFID technology, they no longer need to rely on the operator’s memory for their sorting process. 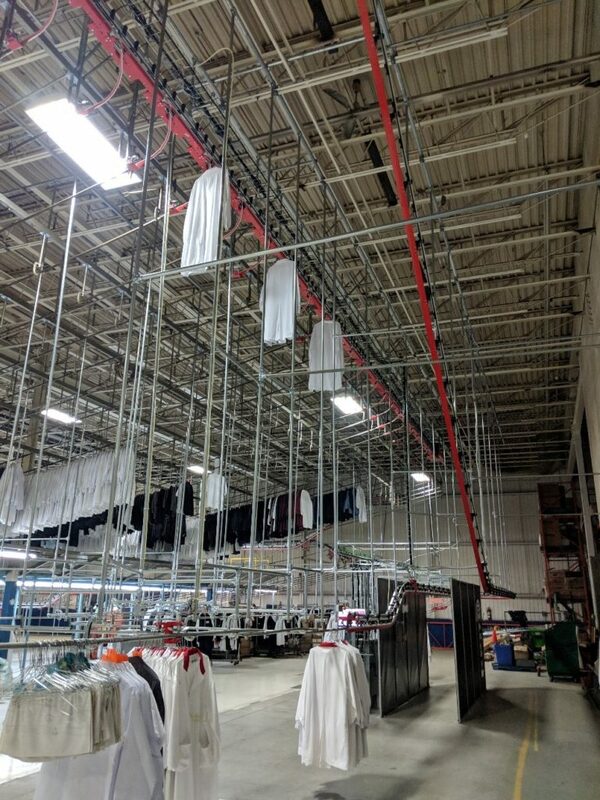 This Automatic Garment Sorter is installed overhead with a catwalk to access the storage lines. This clears up a lot of floor space, allowing them to use space underneath for different operations. The system eliminates the decisions an operator must take allowing them to focus on completing the straightforward tasks in a timely manner. As labor continues to become more expensive and harder to find, companies can rely on Planiform to continuously provide automated and semi-automated systems that will improve workflow and guarantee a rapid return on investment (ROI). 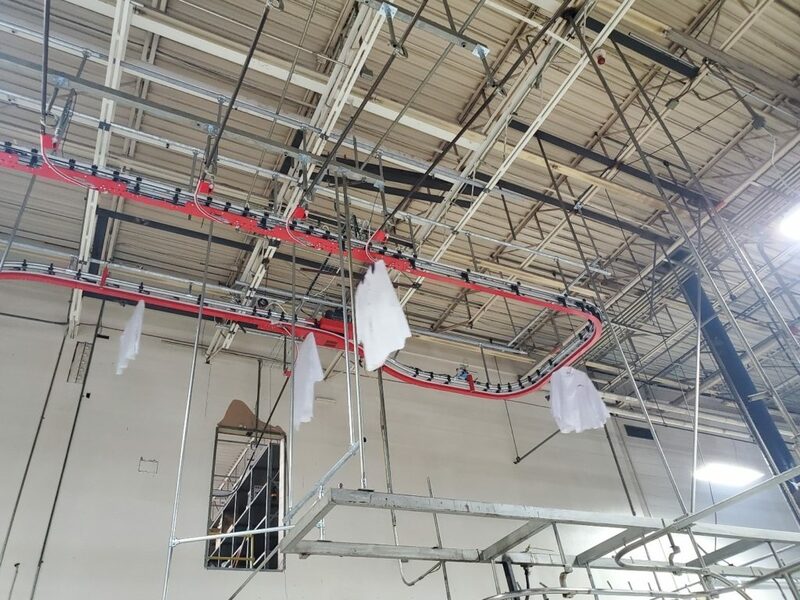 I invite you to take a look at the pictures below of our extremely reliable and almost maintenance-free GOH sorting system. Planiform would like to give a special thanks to Alsco for allowing us to use their name in our monthly news.